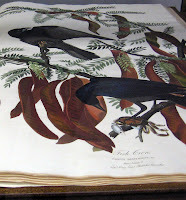 At the library we have a bound edition of James Audubon's Birds of America. It sits in a large case at the entrance of the library, and is displayed open to a select page. 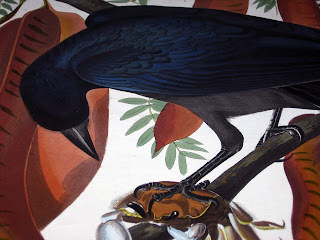 Pictured now is the Fish Crow. Secretly, I've always wanted to be the one to be responsible for turning the page.